Steve Reich's significant contribution to minimalism involves his use of pulses and phased patterns. Hence today's pick can be seen as a companion to Riley's "In C". It differs in being a set score for a set instrumental grouping (although since some of the 18 musicians need to double up on instruments it is recommended to use more). There are eleven sections based around cycles of eleven chords -- a great deal of harmonic development for Reich. Terry Riley's seminal "In C" presents each member of an ensemble with a sequence of 53 short musical phrases they must play in order and in the same tempo, but which they are free to start and repeat when they wish. 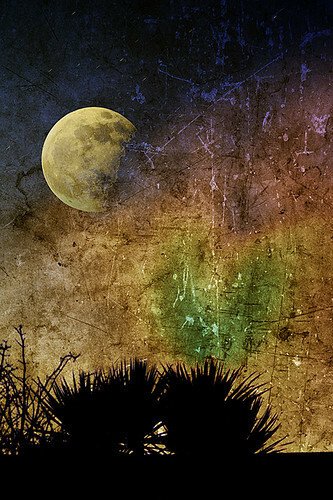 Given the open-ended nature of the score and its suitability to different combinations of instruments, not to mention the pure fun in playing it, there's no surprise that many different recordings exist. 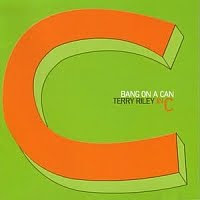 "In C" relies very much on that mainstay of minimalism, the pulse. Eighth notes in C are banged out for the entire duration and it is against this background that different rhythms and harmonic changes develop. 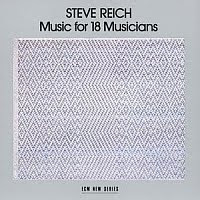 If you enjoy Steve Reich (whom I'll feature next week) this will put you in heaven. And speaking of process (see the last entry), here's Alvin Lucier. Though he has a good number of albums released, he remains relatively unknown outside academic circles, at least compared to his contemporaries in minimalism: Glass, Reich and so on. 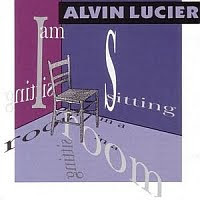 His work is largely about perception and acoustics, never more so than in the landmark "I Am Sitting In A Room" (1969). 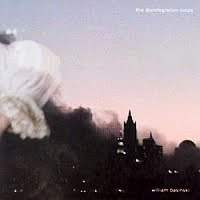 The story of "The Disintegration Loops" is too perfect to be true: William Basinski transferred old decaying reel-to-reel tape loops as the Twin Towers in New York collapsed. The metaphor is inescapable, though oddly inappropriate. But it certainly made his career. While there are four albums in the series, track one here ("dlp 1.1") is likely all you need; certainly it is the best starting point. 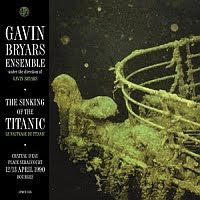 I have three versions of "The Sinking of the Titanic", the first being the 1975 recording famously released on Brian Eno's Obscure records label, where it took up one side of a vinyl long-player. That is certainly a classic, and is available in the blogosphere if you look. 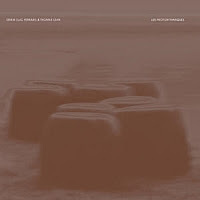 The most recent version, on Touch, was recorded in Italy in 2005 with an ensemble including Bryars himself, Alter Ego and Philip Jeck on turntables. Though much lauded, I find it almost unlistenable. The implementation seems to have wandered significantly from the original concept. Though Brian Eno may have coined the term "ambient music" in the seventies, it all began with Erik Satie's take on "furniture music" in the nineteenth century. His short piano pieces were designed to be heard in the background, without attention being paid to them; a radical idea from a strange individual. "Vexations" (1893) is the epitome of this idea, a pleasing but oddly notated sequence designed to be played 840 times in succession, or so says the score, which may be some sort of a joke. It was not performed in Satie's lifetime, but has become something of an icon since. Entire websites are now devoted to it; you can download MIDI files and read various analyses. OK, today I am cheating. 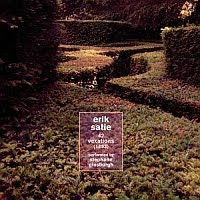 This is not a complete album, but it is a complete composition, a stone-cold classic of twentieth-century electro-acoustics, and one of the most important pieces I know of. (Though only those who have read my Masters thesis might know why - ha!) So, though I am cheating, I don't think anyone will mind getting close to half an hour of wonderful music for fifty cents. This post is for those who want to check out something from Ferrari, but who don't know where to start. 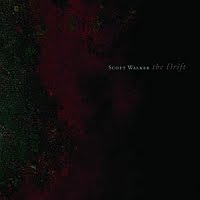 And if you have followed my lead and downloaded the last two tracks, maybe you are disappointed? This piece will set you to rights. This is another confusing one. eMusic credits it as being a release by DJ erikM, but that is only partially correct. 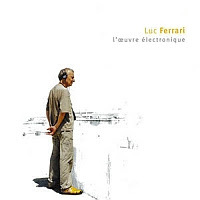 "Les Protorythmiques" is a composition by Luc Ferrari for two DJs. 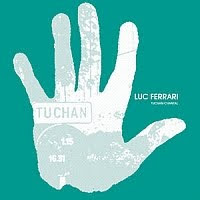 When Ferrari was too unwell to perform at the Musique Action festival, Thomas Lehn stepped up to the decks. But all of the source material is from Ferrari's archives. The album should therefore be credited to all three artists. Want some great music for only half a euro per album? All legal and above-board, in quality MP3 files DRM free? Thought so! I have not done a great deal of online music purchases, but this Christmas encountered an album I could only purchase digitally (what a dumb term). This landed me at eMusic, a retailer with a distinct European presence. They sell a fixed 24 download package for a 12 euro monthly subscription. While this isn't the most convenient way to manage purchases, I was encouraged by their incentive of 45 free downloads. 69 tracks for 12 euros? Yes, please! Better yet, since they price by the track, an album that is one long selection of music costs only 50 cents! Comments on the site indicate that this may not always be true in North America, but it sure is at eMusic Europe.